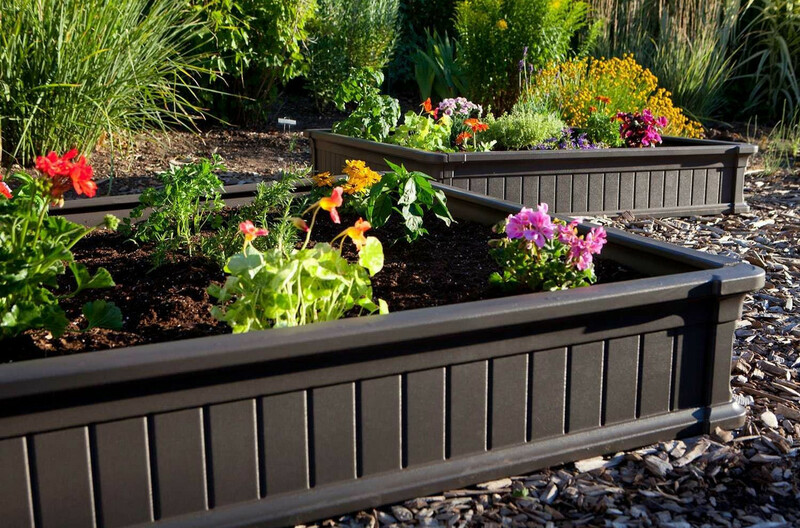 Raised beds can change the appearance of any backyard or front yard if done as shown in this picture. All you need are grey boxes that are laid systematically in the garden. Fill the inside with soil and plant beautiful flowers. Not only does the method save space but also maintenance cost and time.